Welcome to Bed Bug General. At Mattress Safe, Inc., we are excited to join forces with our distribution network to educate and equip the community in the war against bed bugs. You may be wondering, "Just what is Bed Bug General all about?" 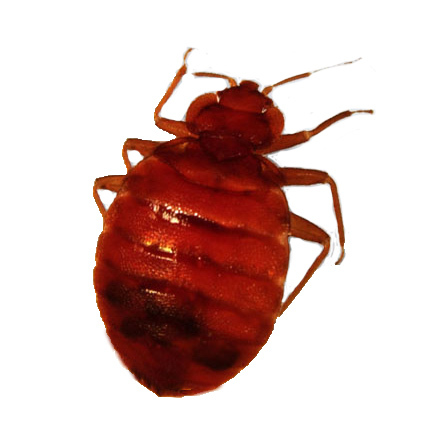 Bed Bug General is a comprehensive, informational site with straight forward facts about bed bugs and how to combat them. United with our distribution network, we provide the knowledge, guidelines, and services to better equip those who are on the front lines. Below you will find a comprehensive overview of the site as we invite you to enlist and gain access to a wealth of resources to aid in your battle. We hope you will find the information within Bed Bug General insightful and practical. To provide an educational and informational forum for all involved in the fight against bed bugs. To establish an online community of bed bug experts establishing a front-line defense in the war against these pests. By partnering with skilled special forces in the areas of entomology and pest management, we will determine the main operating location of the bed bugs and expose where they hide and how to detect them. United we will provide information, guidelines, and services to combat the ongoing threat of bed bug infestation. Partnering with distributors and their manufacturers, we will review new "weapons" to combat bed bugs in their main harborage areas. Our intelligence informants will review new and ongoing research being conducted to seek a solution for the destruction of these pests. Bedbuggeneral.com will report current field tactics and courses of action to prevent and protect against the spread of bed bugs. Using the strengths of entomologists, pest management professionals, distributors, and manufacturers, we will establish an army to eradicate the threat of bed bugs. With a support team of front-line combatants, triage specialist, weapons manufacturers, and intelligence informants, BedBugGeneral.com will be a leader in maneuvers through the bed bug crisis. As a professional in the bed bug industry, you are already a soldier in the battle against these pests. While we can stand alone and be somewhat productive, we must unite to defeat the amassing waves of bed bug attacks. Your company and website will be featured as "combatants" in the war against bed bugs. Regularly we will supply informative articles written by our "soldiers in the field" - namely you. BedBugGeneral.com will promote articles from featured entomologists, pest management companies, manufactures, and distributors. We will inform our viewers of new and upcoming treatments, products, and information direct from our partners. While we wage a figurative war on pests, every day the men and women of our armed forces wage a real war against terrorism and injustice around the world. Partners joining forces with BedBugGeneral.com can be proud knowing that a portion of the proceeds of Mattress Safe® products will be donated to support the US military forces. BedBugGeneral.com and Mattress Safe® encourage our partners to join in this effort.